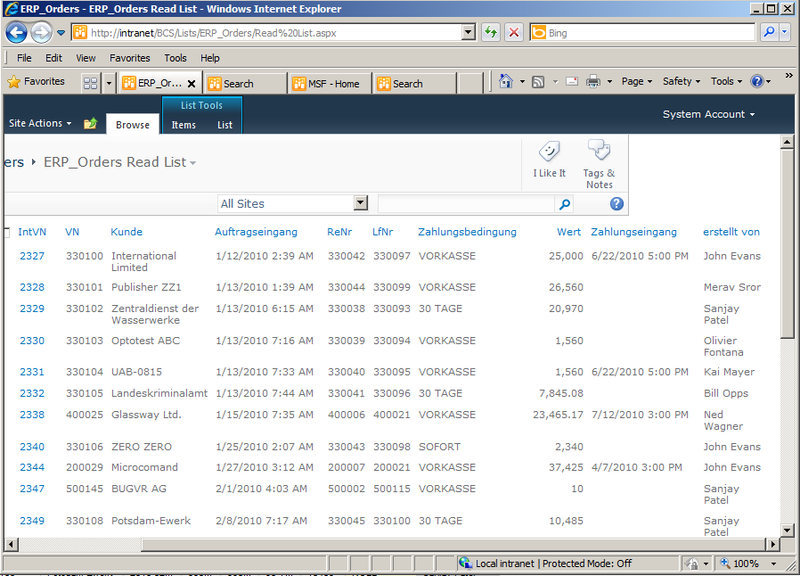 In this case I will use a field from an SQL table as a refiner in my SharePoint Search. The SQL table contains information about ORDERS from external ERP system. 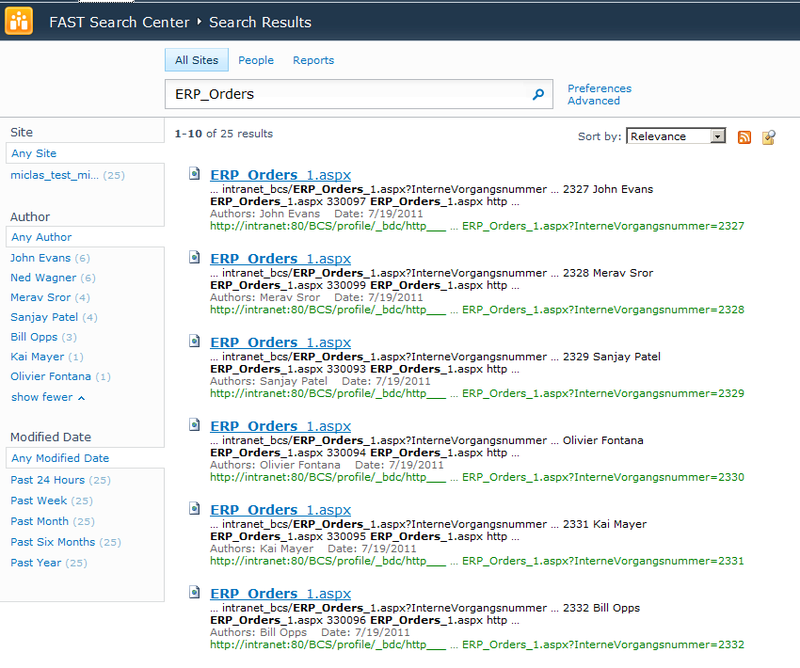 This ORDERS list is accessible via a BCS connect from SharePoint and also you can search for those ORDERS via SharePoint search. There is a default refiner called AUTHOR in SharePoint search. So “author” is here similar to the creator of the ORDER. Next step is to find out if there is a crawled property containing the field “VorAngelegtVon” from SQL table / BCS Source. To do this I used PowerShell. The result shows that there is a Crawled Property containing the data we want to use. The name is “read listelement.vorangelegtvon” and it from the category “Business Data”, so we are on the right path. You see that the property “MappingDisallowed” is set to False. That mean we can map our crawled property to this managed property. The property “Author” is also flagged as “RefinementEnabled”. This is necessary to be shown in the refiner panel. Before the mapping is taking any effect a crawl of the contendsource containing the BCS source is necessary. An incremental crawl is enough. 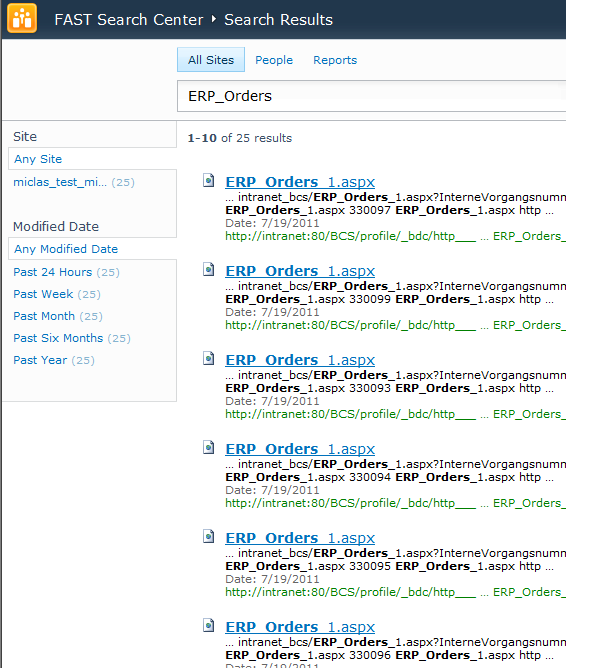 This can be the stage for a search driven solution showing the ORDER from the ERP system refined by the Creator / Author….